Is there a method to your madness? Writing is one of those things we do in solitary most of the time, but that doesn't mean you don't have support systems and that you don't use some sort of system to create, or at least edit. A friend of mine who is a great writer, published many articles, a speaker, an English expert, has been writing fiction. She asked if there was a way to keep things straight--character aspects, continuity in the story. How do you keep it all straight and find the details? Let me say that there is probably a system or method for every writer. You eventually find a system that works for you. I just wanted to list a few ways, resources to put a story together that many authors have used. 2. Some people use spreadsheets but I just could never do that. But if you want a system designed by a real computer genius, then you need to check out Randall Ingermanson. With his doctorate and ability to design systems you would think he'd talk way over most of our heads. But no. He also has the unique gift of being able to make it palatable to us common folk. You will love his Snowflake System and also relate to his distinctions of levels in writing--freshmen, sophs, juniors, seniors, grads. Well, there is a lot to explore with his blog and various pages. He's a great teacher. One published writer I know uses her closet door and puts various Post It (TM) notes all over it to find her story. Some have made this more formal and have a plot board. 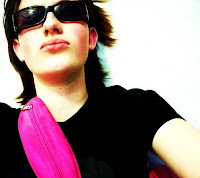 Camy Tang has long given out advice on aspects of fiction writing on her Story Sensei Blog. 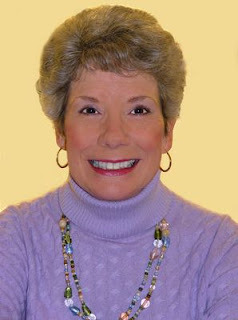 I love Debra Dixon's book, Goal, Motivation, Conflict:The Building Blocks of Good Fiction. Most simple and excellent. 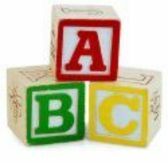 For $20.00 you can have a basic lesson and a grid of how to build a story. After our drawing (and I took the names from all of the posts last week,) Carrie Wood won the ColorFast Color Analysis by Lora Alexander. Her son is getting married later this year and she was delighted as she wants to look her best. I'm hoping she'll share her results. On the poll I have up I ask what season you think you fall into, or if you need help. There are four who think that they need help. Could we help you? If you contact me with your photos, or have a photo online, maybe we can do a comparison. Or maybe you need to splurge (a gift from someone?) on the ColorFast Analysis? You can go through the quiz and see if you can figure it out. Or get a friend to help you. Last night we did an impromptu draping of Kat. She is a stunning young woman who does have a fine-tuned sense of what colors DO NOT look good on her and really does know what she can wear. She still needed some direction on lipstick. Her hair was much lighter as a child so I thought for a little while she might be a clear spring. But after draping her in the test colors, she really didn't look good in those colors. She has bright, clear hazel eyes. It turned out she was a beautiful clear winter, we're pretty sure of that. Very pretty! I've struggled some on my own coloring. I think earlier in my life I was more saturated, but have faded in my old age. I've had to change lipstick, makeup and colors. I don't know what color winter coat to buy (and I've been wearing the old black one. Probably not good.) I need a more clear photo of myself without makeup and also a close up clear shot of my eyes. Lora thinks I am possibly a light summer. But I do think I might possibly be a light spring. I'm not sure if I look better in camel or gray/taupe. There's a small sunburst of a light color around my iris. Can you see it? Is it clear or misty or cool? I know for certain I do not look good in ash blonde hair. It makes me look gray, old and tired. (This was proclaimed by my husband.) So I've gone to a light golden blonde. However, light summers CAN have light golden blonde hair, so we go back to two things: which is better, camel or cocoa? AND is my eye color misty grayed or clear? A lot of the two palettes have the same colors, so I just need to decide on one or the other so I can buy some core wardrobe pieces. Light Spring? Light Summer? Both? Ha! The Perssons who became the Piersons, after they came to America (My grandfather is on the back row.) They ended up in Minnesota. It is always interesting to me how people got to this country. I like to hear the stories. Around here where I live, most people's ancestors end at Grandma and Grandpa, and they'll say, "Wahl, I thank my people came from North Carolina, but we been on this here land since 1832.You ain't from around here, ar-ya?" Thomas commissioned a special boat to bring 51 special tradesmen to America from Sweden and settle them in a settlement called New Sweden, Maine. My great-grandfather above was one of those guys. No wonder I couldn't find him on any of the lists that have become public. 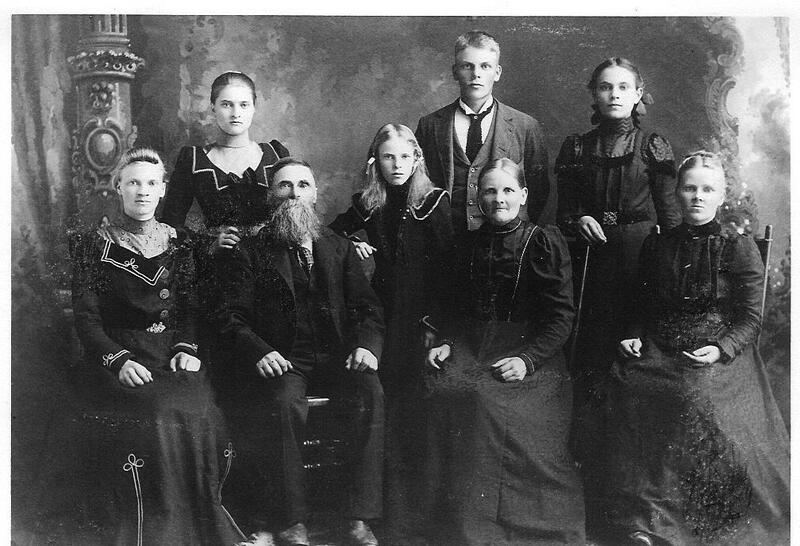 Hannah, his wife, was from Smaland, Sweden and they lived in New Sweden, Maine until 1882 before taking off (those wild and crazy kids!) for Minnesota. Why they would head for Minnesota just shows they wanted land. Land was for the taking after the Homestead Act. If any of you live in Minnesota, you know about the "state bird"(called mosquitoes) and how it took a special breed of people to stick it out on those homesteads. My people did it. At this time of year, I really appreciate my Swedish and Norwegian roots because those people liked food. And I like food. And I like it even more when I'm snowed in. Which proves that I have just enough Swede for food abundance appreciation with a good cuppa coffee (and enough Irish in me to enjoy it!) Gotta love our backgrounds. Many of the Swedes left Sweden because they were starving. And America had plenty of food. We get smorgasbord from the Swedes--and I have the recipes to prove it. However, my favorite story from Sweden is called Godnatt, jord (Goodnight, Earth) and this isn't from my family, but hey. Some writer named Ivar Lo-Johansson (and I'm related to some Johanssons.) The character, Mikael, knew there was some glowing life out there and his hunger for it, drove him to steal money for books. This family was direly starving and he's stealing money for books! (Sounds like my kind of guy, because besides food, I love stories and books.) So, the Swedes were a hardy bunch, literate and had the ability to keep a buoyant spirit while being worked to death. Maybe Jonas just didn't know any better. I used to participate in a cookie swap at Christmas (in another place where I lived.) I love recipes, and I loved the cookie swap! One lady there (my age) had a particularly tasty recipe for Swedish Melting Moments cookies. She was praised far and wide, and she would bake for a solid week, and freeze her cookies, getting them out for various social events throughout the holidays. I wanted that recipe. Even though I probably had ten recipes (and continue to search) for Swedish Melting Moments, those were really good. I'd get about one cookie a year. So, I asked her if I could have the recipe. I promised to only bake them for my family. (In case she worried I'd upstage her.) She said, "No problem! I'd love for you to have it." But she conveniently never gave it to me. (Believe me, I asked several times. )Now, she lives far away and I live the other far away--and I still don't have that recipe. So, in the spirit of my ancestors being fancy bakers, and because of all the bad weather we've had, and I just got a new mixer and oven (earlier story on my blog) I want to share one of those Swedish Melting Moments cookie recipes with you. Not as good as You-Know-Who's, but we take what we can get. All week we've been talking about 12 seasons of color, how it can help you in your writing and in your public appearances. You will look polished and professional if you choose colors that blend with your own coloring. Have you ever seen someone wearing the wrong color for them? Or who dyes her hair the wrong color? Somehow that person will always look like she isn't feeling well, or just something is clownish about her appearance. If you dye your hair red, and it looks great on you, you are probably an autumn. Autumns shine in red hair! Lora describes going to "Pink Night" in her book. She was excited but the evening fell flat for her. Pink is definitely NOT her color and it just doesn't "do" anything for her. An autumn can wear mustard yellow and orange and it will look good in them. No other season can do that. A soft autumn will lean toward summer and may need to avoid mustard yellow, but both Deep Autumn and Warm Autumn are going to look stunning in it. Warm Autumns are Warm + Dark. Deep Autumns will be Dark + Warm. Soft Autumns will be Soft + Warm. Rich, warm, glowing. It's been a fun week. I wish all of you who have commented this week to enter the drawing will come back and tell me that you have found your colors. If you don't win the drawing, do go to Lora's site and consider getting an eColor analysis. She has a couple options. I'd love to see your transformation! And I think it is freeing deciding on a course of action. And then, also, you authors when you write a character can borrow some descriptions so it will be easy for your readers to imagine the character. I can still see Anne (with an "e") of Green Gables as Gilbert calls her "Carrots." Can't you imagine that bright red hair? It was so important to Anne's character and also to her development. Marilla told her it was the condition of the heart that was more important than the color of her hair, but when Anne wants to change her hair color, would it really suit her? Would it really be her? Embrace the beauty that God has gifted you with by working with the palette He endowed you. 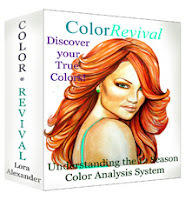 Leave a comment on any of the Lora Alexander posts this week and on Friday I'll be drawing a name for a free ebook Color Revival or an eColor Analysis from Lora. We've looked at springs (briefly) and winters yesterday. With three variations within each of the four seasons, you have to concentrate on certain key words. Summer has three keywords--light, cool, and soft. If you have light and cool = light summer; cool and light = cool summer; and soft and light= soft summer. The eye is soft and light. Coming up with an example from my author friends for a summer proved difficult. Therefore, I had to swipe Lora Alexander's example with Sarah Chalke, a celebrity. Think ash blonde and blue, blue gray eyes. See how muted? And you wear soft colors of a summer day. So now that you see all these, do you see why I think my mother was a light summer? And her favorite colors were blues and powdery pink. My mother was of Swedish/Norwegian descent and was very tall, cool and blonde. (She was several inches taller than I was.) She was really thin most of her life. When you're describing a character, can we picture that character? If you go to Lora's site, you'll find descriptions of various seasons and the variations within them, but in her book she goes into greater detail. Here's an up-and-coming author whose book cover will have a gorgeous, colorful cover, but the author is definitely a summer--what do you think? I think she is probably a light summer, but could be a cool summer. One of the beautiful photos for the cover art for her book, Shadowed in Silk (WhiteFire Publishing) features her daughter in a beautiful fabric from India. 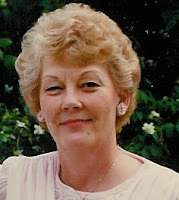 The character in her book would look like this woman, so see how color and descriptions of your character could set the tone for the type of character is in the story? Do check out Lora's site and her book if you write fiction. You can still enter the drawing for either the ebook or a eColor Analysis by Lora Alexander. Leave a comment! Sometimes I have gone shopping with friends to find a special outfit for an event. They want to look their best. They ask for my input on something that is important to them. I take that role seriously if someone asks me. Some of my best memories are shopping with my mother for school clothes and it brings a bit of warmth to me to remember that, so if I'm asked to help someone pick out clothes, I like to do that. I am not so good at shopping for myself. Maybe I keep expecting my mom to swoop in and find just the right cut and color for my clothes? I have a past in art and know that certain colors convey certain "messages" to those who see them. For example, most of you have heard of the red "power" tie. Red is a bold color, but it can be blue red or orange red. It can be dark red, clear red or light red. Can you successfully wear red? Specialists in color theory say yes--if it's the right red. I like a cherry red, but usually only in accessories. 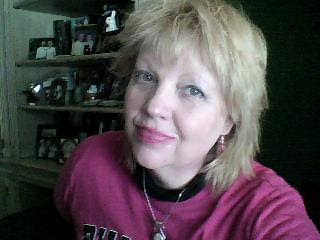 It's not usually a color I choose for a sweater or sweatshirt--even though it's my alma mater's color--Cardinal Red! (Ball State University. )I also love an orange-red. Maybe my love of autumn.But when I do wear it, I feel empowered. According to Lora Alexander, winters are cool, dark, deep, clear. That means that you are looking at icy, deep(saturated) and cool (blue undertones) like fuchsia, icy pink, burgundy, magenta, pine green, royal blue, pure white, royal purple, true red, black, hot turquoise...can you see it? 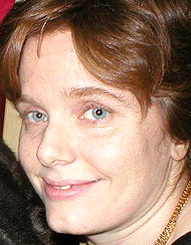 N.J. Lindquist, an author and writing teacher, is someone I've known online for years. She always looks so put-together at events and on her web page, but I've never met her in person. When I look at her photos, to me, it seems obvious that she is a winter. Her writing even seems to go with her coloring and how she presents herself. (She writes novels--mystery.) I interviewed her on When I Was Just a Kid and you can see that here. Even her web site reflects her best colors and she just looks so polished. If you are a professional speaker, teacher, writer like she is, you can see how her audience will trust her in giving information or telling stories because she knows who she is. 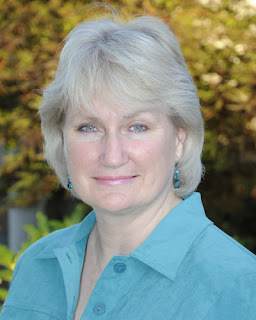 Another author friend (right here in Indiana) who is a winter is Colleen Coble. 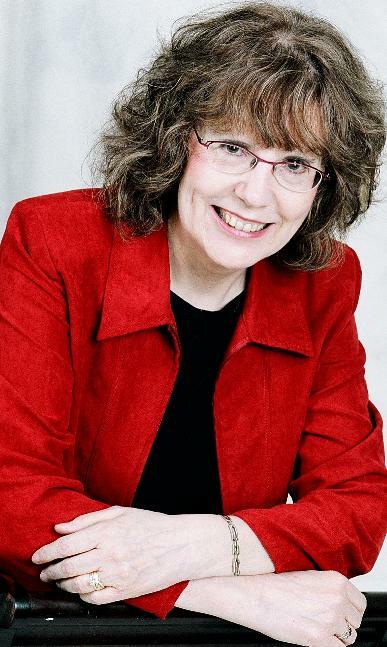 Colleen is CEO of the American Christian Fiction Writers and also writes award-winning romantic suspense and historical romantic mysteries for Thomas Nelson. She has a mentoring and warm personality, never meeting a stranger. Recently she lost some weight and while I never have seen her look frumpy but always polished, she really shines now with the health and vibrancy of feeling good. Her smile glows and she has a lot of confidence. Can you see how well winter colors would work on her? 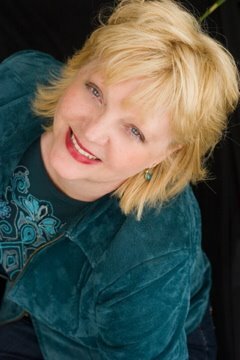 Finally, another author friend who also teaches at conferences, writes articles as well as books, and does editing is Candy Neely Arrington. Candy has leadership roles, as well as speaking and appearing on TV for her articles and books on dealing in the aftermath of suicide and also caring for your parents, and music performances. She always looks beautiful in her winter palette for her clothing. You can see how wearing the right colors can enhance the message you are bringing. Even though each of these women are writers, they need to make public appearances often. They need to be perceived as approachable, but also authoritative in their field. Your accessories and earrings, even your shoes and purse can pull your look together--but what colors should you be wearing? My good friend, Jude Urbanski, soon will have her website up, is publishing her first fiction book, is past treasurer of the Indiana Chapter of ACFW and is current president of the Indiana PEN Women. She is beautiful and she needs to wear the jewel colors of winter. Her figure is petite and beautiful, and she always has vibrant accessories. What do you think? I think she's a winter for sure.The yellow background may throw you off, but I do know her and she sparkles in jewel colors. Are you a winter? Go to my poll and check what you think your season might be or check the links below first to determine your best colors. 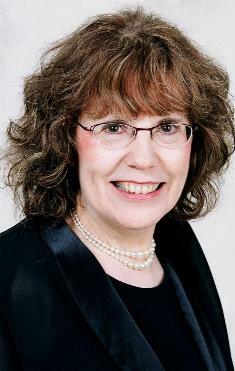 And be sure to stop by Lora Alexander's web site to take her quiz if you're not sure. If you still are not sure, you can always purchase Lora's book or hire her to do an evaluation that she offers for purchase on the site. (She has a couple options.) Lora breaks the four seasons into more refined palettes, making 12 seasons, which helps to narrow down your best colors, even within your season. She has Cool Winter, Clear Winter and Deep Winter. I appreciate her art work (all the drawings are her own) to give you a better idea of the coloring of each season. What's your favorite color to wear? What color that you wear gives you the most compliments or even gives you comments of "you look great!" What color do you wear that you always get an "are you feeling ok?" Going back to the color issues, I have a poster girl for spring, I think. What do you think? That strawberry blonde hair and youthful outlook is so Sarah. She has this great series for teens and was a wonderful Kid interview on my blog, When I Was Just a Kid. Even her websites go with her "spring" vibe. She's a writer with a dark past who came to the true light of Christ. Do check out her Becoming Beka books and blog and various other hang outs like Twitter and Facebook and her blog, Girls, God and the Good Life. It's hard to find springs but they are clear, light and warm. If you think you're a spring, try looking at Lora Alexander's Pretty Your World. Yesterday you met Lora Alexander, a color analyst who wrote the book on analyzing your best colors to wear in Color Revival. Today we're going to see how she goes through the process in analyzing a client by photos sent by email. She emphasizes that the client send her very clear photos with no makeup. Also, if you color your hair, you might want to send childhood photos and original hair color photos, or at least cover your now hair (pull it back.) 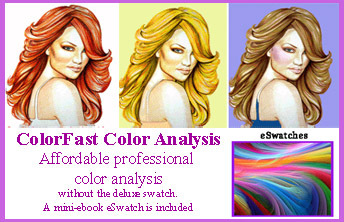 Sometimes she loads your photo on www.taaz.com to find hair colors which best suit your coloring. Here's a demonstration of how Lora does a virtual color analysis. Thanks to her client, June, who graciously allowed her to use her actual photos so she can show you the process she goes through when determining someone's colors. I look at a photo to set some basic assumptions about her. Cool based undertones? No. From the questionnaire, she told me she doesn’t color her hair. It looks warm. Her skin looks warm. This eliminates Summers, and Winters are already eliminated. Is she a spring or autumn? What do you think? I look at another picture of her more close up. Her hair looks very warm, like a traditional warm autumn. But look at her eyes. They are clear. They are not dark or muted. They are definitely CLEAR. So I determine two of the characteristics she has—Clear and Warm—which equates to a Spring. Remember that all Springs have the characteristics of “Warm, Clear and Light”. But which trait is most dominant? While her eyes are definitely clear, I think her most dominant characteristic is Warm. The hair, including the eyebrows, and even her freckles are very warm. I do have to admit that June was fairly easy to identify. Many clients are not that easy. When that is the case, I usually will ask for more pictures of them, particularly childhood photos, wedding pictures, pictures of them wearing different colored shirts, etc. The process is the same, though, for all clients. I get a generally idea of their coloring, eliminate obvious seasons, look for dominant and secondary characteristics and ask for more pictures if needed. 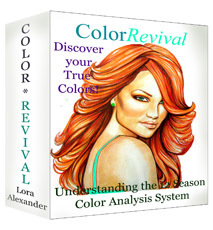 Would you like to be eligible to win a free e-Color Analysis by Lora? Or a copy of her ebook? Leave a comment below with an email address and I'll draw one name on FRIDAY to receive your choice of these two great products! Find out what colors you look best in. If you would like to purchase the deluxe swatches because you already know your season, go to her website to purchase. Leave your yournameATyourISPdotCOM and I'll announce the winner on FRIDAY, February 11th to be contacted by Lora personally. If you don't win and would like to see how you can get your best colors, do visit her site! I get tired of buying clothes and then they don't look right (the color) and I end up giving them to someone I think they will look fabulous on (and they do.) I'm happy if someone benefits from my mistakes, but I've wasted a lot of money and I'm still not happy with my color choices. I heard about color analysts years ago and I've been told I'm a winter (don't really think so, though she draped me,) a spring (maybe? Another draping,) or an autumn (again, there are some things there.) Maybe a summer? My mother was definitely a summer. I didn't look like her. I ran across Lora Alexander's blog and website in a search for someone who could finally find my formula. I would like to buy a winter coat in a color that just makes me look fab. Wouldn't you? I'd like to finally look pretty. Oh, and yeah, I'd like to find a lipstick that I am happy with. How about you? How is it that we remember all our failures? And why do I give up and just buy black? I remember buying a beautiful pale pink sweater for my junior in high school photo because there was this girl named Paulette who always looked gorgeous in that color. I'm pretty sure she was a cool summer with that ash blonde hair (and she had model looks.) I looked washed out and pale. My photo was terrible. How did she do that? How did she always know what color looked best on her? And then there was my gorgeous friend Nazanin who always looked so sophisticated in black and stone. She was obviously a deep winter. I just looked like I had been sick with the flu for a week. I thought I'd finally found it when my friend Linda, a for sure autumn, offered to lend me some of her clothes. I tried on each one. Each one made me look worse than the last. A few of the colors worked, but most didn't. I really believe in Lora's system. We're still working on getting my palette, (I need some better photos) but we're closer than I've ever been. I asked Lora if she'd do an interview here and she has offered to give away a prize if you come back tomorrow, too, and comment on that blog. Lora uses a 12 season system, which you can see on her site. If you are an author, or a writer, wouldn't you like to have your best colors to wear and lure people in with your healthy and harmonious looks? (Especially at those book signings!) And if you're not an author, I know you still want to look your best and not waste money on clothes which make you look drab. Here's (almost) everything you wanted to know about Pretty Your World and Lora Alexander.Lora owns and operates her website herself. 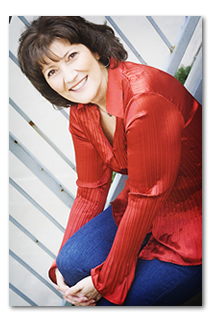 She is a licensed esthetician, makeup artist, certified Image Consultant and artist. She admits that the name "Pretty Your World" is a bit of an odd name for a beauty site. It's not her first choice but, long story short, it's the one she stuck with and it has definitely grown on her. Let's read about her and see how it all came together and how she can help you! CLM: What is your official title? CLM: Tell us a little about your growing up and how it led you to color analysis. Lora: I was good at art from an early age. I remember hearing my first grade art teacher tell my regular teacher that my artwork was “out of this world.” I didn’t know what that meant. I just knew nothing made me happier than a pad of white paper and a brand new box of crayons. I was naturally drawn to drawing faces, women’s faces and could see the beauty in all women, except myself. I had very little self-esteem. 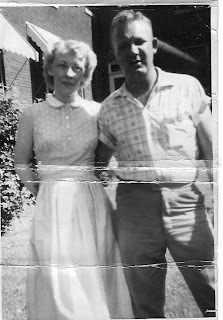 I was pale, reddish blond hair, and had an older brother who did little to help my self-esteem. Everything changed when I read the book Color Me Beautiful by Carole Jackson while I was in high school in the 80’s. I became obsessed with analyzing people’s colors. I have been doing it the second I see someone’s face ever since reading that book. CLM: What’s your favorite part of your job? Lora: I love hearing from women all over the world! My first client was from Italy (a place that is my dream vacation destination.) I’ve analyzed women from China, Russia, Australia, Sweden, South Africa, and nearly every country in between. I love it when women tell me the analysis changed their life. Obviously that’s good feedback. CLM: When and what made you decide to go online with Pretty Your World? Lora: I quit my good paying, secure job in early 2008 to start an online store with a friend. The store was going to be romantic shabby chic style one-of-a-kind home décor, furniture and thrift store finds. I secured the title “Pretty Your World” for that store. My friend bailed out on me in the last minute, my old job wasn’t hiring due to the economy and a hiring freeze and all I had was a secured domain name. So, I found a company called Site Build It that helps people create and build a website and I signed up with them. They emphasized the need to do something you are passionate about or you won't stick with it. Not knowing how well a color analysis site would do, if it did anything at all, I went with it, (kept the original domain name) and now I average about 20,000 visitors a month. It’s been fun and I’ve learned an enormous amount of information about ecommerce. CLM: What’s the most difficult part of doing cyber-analysis? Lora: Making sure I have enough good quality photos of people that are truly reflective of their actual coloring. Sometimes people want to “look good” in the pictures and may want to add a little foundation, or make sure they wear a little mascara and its important that they don’t cover up any part of their natural coloring. CLM: My world would be perfect if only…. Lora: My income doubled this year. Then, I would be making as much as I did when I quit my old job and I can finally feel good about my decision. Financially it’s been tough, but it keeps getting better each month, each year. CLM: The best thing to help in my evaluations is…..
Lora: Lots of clear accurate photos. I tell people they cannot send me too many. I like large hi resolution photos best. I also like to see pictures of clients when they were younger, to see what their coloring was before they started coloring their hair or they started turning gray, etc. Except for some people who cool down a lot when they age—very common—their season typically doesn’t change throughout their life. CLM: When you do color analysis of a client, what helps the most in deciding which category your client fits? Lora: Their childhood or teenage pictures help often. 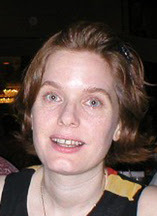 Plus, if I get a good photo of someone that is clear and they have no makeup on, I upload it into a third party website called www.taaz.com ( I asked for permission to use this as part of my service and they said yes.) I then apply makeup and haircolor to them virtually and this really helps me see immediately if some colors work or not. CLM: If a client is a man, how does it help him to know which colors to choose? Lora: I think color analysis is crucial to men, even more so than women because they only have their clothes to make them look their best. Women have makeup, hair color, jewelry, etc. Men need to get their shirts and ties right in particular to have an impact on their coloring. Lora: ….aggressively marketing myself without feeling pushy. I know that link exchanges are important for growing my business but I don’t feel comfortable asking someone if we could exchange links, or ask them if they would review my book, or other similar self-promotional things. Ninety-eight per cent of my traffic comes from search engines and I’ve done no other advertising except for some Google pay-per-click ads. Self-promotion, and to be honest, fear of rejection, is something I need to work on. CLM: Most of my writer friends will understand about marketing yourself. It can feel awkward. The thing I feel most comfortable in this process is…. Lora: Doing the virtual makeovers. It has re-ignited my passion to be a makeup artist again! I went to school in ’98 to become an Esthetican, hoping I’d learn about makeup artistry. Two days of training was all we got. When I worked in salons, I only did a few makeup sessions, but they were fun. I mainly did waxing, facials and more waxing. I didn’t dislike it, but I never really got the chance to hone my makeup skills like I had once dreamed of. CLM: What’s your favorite way to celebrate reaching your goals? Lora: Going shopping at my local Thrift Store. I love hunting for treasures at thrift stores and garage sales. CLM: What do you know now that you wish you had known in the beginning? Lora: Well, I am learning to be a little less effected by criticism. It’s still hard though. But I’m learning that being successful (or trying to achieve success) does not mean pleasing everyone. You can’t. You can only do what you genuinely feel is right and hope they accept that. If they don’t, I can’t let that ruin my day. I like to read inspirational stories like how Col. Sanders was rejected over a thousand times for his KFC recipe but he kept going. Most likely I would have given up at the 3rd or 4th rejection! To become successful you have to be persistent. CLM: We writers really know about that and relate to you there. Tell us about your art and how you use it in your business? Lora: Thanks for asking! I always had this dream of opening a little makeup studio/facial room and decorating it with my original artwork. When I did my book Color Revival I did all of the illustrations. First, I wanted to present my artwork to world, and second, it saved me lots of money hiring an artist or buying stock photos! But that process helped re-ignite my other passion, too (and my very first one): Artwork. I plan on trying to market my artwork seriously for the first time this year. 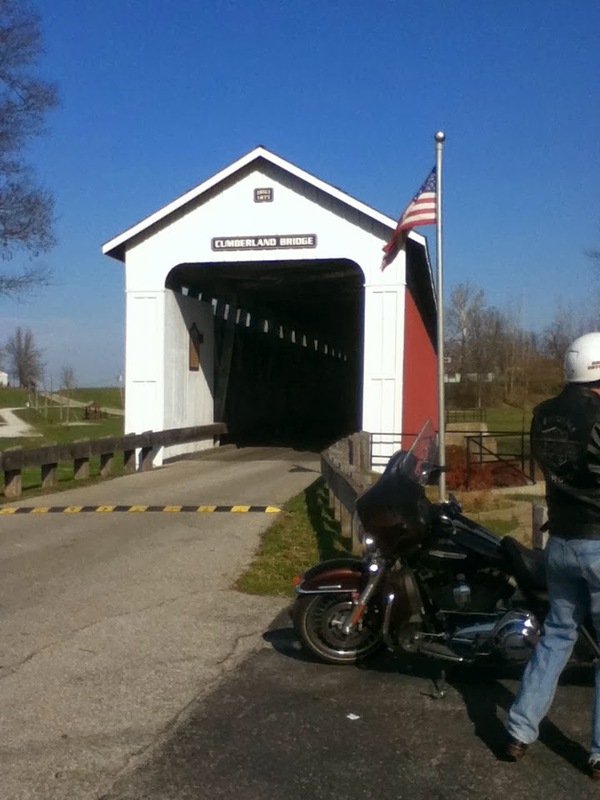 I plan on opening a Zazzle store, too, [www.zazzle.com] which will feature my artwork. I’m pretty excited about it. My artwork is an area in particular where I need to get over my fear of rejection. That’s why I sort of kept it hidden so long. It’s very personal. If someone is not happy with their color analysis, that’s one thing. But if they hate my artwork, they hate me! At least that’s how it feels sometimes. Lora: I honestly feel that getting to know your best colors can indeed change your life. Besides enabling you to look your best, it can save you so much time and frustration because your wardrobe will all work together perfectly. And the money saved from not making mistakes in makeup and clothing is tremendous. If you add a style analysis from http://www.prettyyourworld.com/personal-style.html , you will have the two most important beauty tools in your arsenal for looking your best. If you win, will you choose this? Her ColorFast Color Analysis with eSwatches. If you would like to have a full color analysis by Lora Alexander or a style analysis, go to her website and you have several options from which to choose. 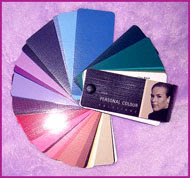 Also, she has color palettes to carry in your purse to help you with shopping. WE have a winner! The winner of Lora Alexander's Quick Color Analysis is CARRIE WOOD. She has been notified and hopefully will share with us what she learns. If you would like your own analysis, do check out Lora's website. If you win, will you choose her Color Revival e-book? Go exploring at her blog and website and take her free quiz. Be sure to come back tomorrow when she shows us how she does her analysis!